Evaluating pitchers is the hardest part of fantasy baseball because of what I like to call the three P’s. The three P’s in this case are performance, predictability, and portibility. In terms of performance we have what we would call performance data and what we would call process data. For most hitters, the process data helps predict the performance data. 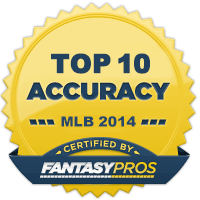 The performance data are the standard five or six statistics that govern fantasy value. The process data might include swing and miss rates, contact rates, and a breakdown of contact. Pitchers have the same numbers in terms of process, but they are much more effected by those around them (fielders). So, their performance and predictability suffers. Portability refers to numbers being relevant from one location to another. If a hitter hits 30 home runs in one place will he hit that many in another? That can depend on the home ballpark. 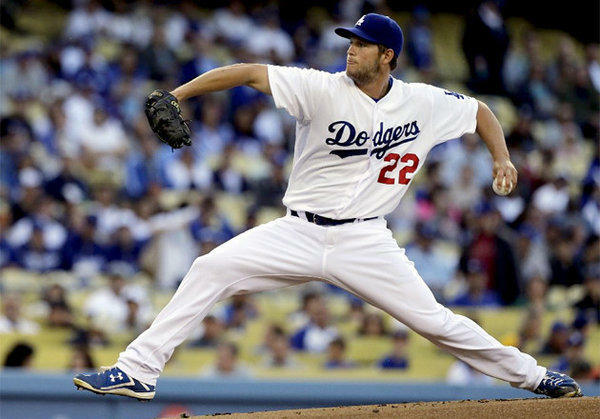 For pitchers, portibility is particularly problematic when it comes to wins. It depends on the home ballpark, the proficiency of hitters, run support, and even the quality of the bullpen. So, while we are comparing the pitchers to the median, we must remember that some of these numbers represent pure guesswork. It pays to pay attention to the numbers that are more predictable and portable. Those usually include strikeouts, and in some cases WHIP and ERA. If you had placed a bet on Odorizzi being the final surviving piece of the much ballyhooed Wil Myers trade you would probably be richer than you are now. Of course, all of the other three principles are still active and quite relevant, but none are in their original location. You could argue that Odorizzi will end up being the most valuable piece for his team because of that, but that will be a call based on volume and not on top end production. Paxton has spent parts of four seasons in the big leagues, but 2016 is the only season where he spent the entire season in Seattle. He still went 6-7 in 20 starts. He had a 3.79 ERA with a 2.80 fielding independent pitching. We must remember that we can’t always take numbers at face value. He combines good control with the ability to keep the ball in the ballpark. These are all factors within his control, so if he can stay healthy he could be an upper echelon. There is an iconic scene in Major League where the manager says, “I know he doesn’t have much of a record against this guy, but I got a hunch he’s due.” A pick of Pineda would be based on the same principle. He had more than 200 strikeouts last year and he has a career 3.42 FIP, so crazier hunches have been played, but a hunch it is. The fantasy graveyard is full of owners that bet on the one year wonder. In all fairness, only Pomeranz’s durability was a one year wonder and the Padres certainly cashed in on that. 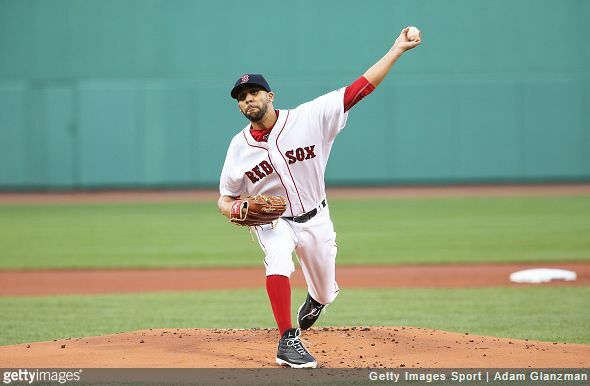 Fortunately, the Red Sox only need a reliable fourth or fifth starter. If he can make 25 starts it might be enough for them to advance to the playoffs. I’d make a similar bet if it were your team. In another iconic baseball movie (Eight Men Out) Arnold Rothstein is imparting wisdom on an associate saying that he made more money on his fights without throwing a punch and that the fighter had nothing to show for it but bumps and bruises. The fighter then retorts, “but I was champ and can nothing take that away.” Porcello was champ. He will forever be the 2016 Cy Young Award winner and nothing can take that away. Most of us would kill for even one year like that. As dispassionate as PECOTA is, the programmers can’t ignore the news. Price came up with elbow problems this Spring and although he says he is feeling better, they decided to hedge their bets. He has yet to pitch in a live game which means he will not be ready by opening day. Still, 75 percent of Price is still better than 90 percent of the pitchers out there. “Free Jose Quintana! 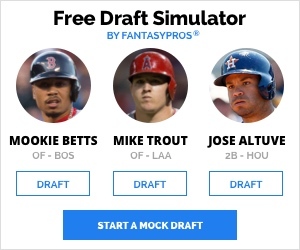 Free Jose Quintana!” If there were ever a pitcher that perfectly embodied the negative forces that a team could place on a pitcher then Quintana is it. He is limited by their mediocre offense and less than mediocre fielding behind him. They should be even worse this year and all while he seems to get better and better. Meanwhile, the old-timers among us will just lament about how he just doesn’t know how to win. Rubbish. Richard has been brilliant when healthy, but he is also the perfect example of the third reason why pitchers are robbed of wins. The team scores enough runs (although not as many as you think) and their defense is decent enough, but their bullpen is in shambles with Huston Street on the mend. It often takes perfect conditions to win 15 games these days much less 20. Great college pitchers are similar to great college running backs. There are more of them than you would think and about the same number grow up to be great professionals. The White Sox hope that Rodon is a late bloomer like Chris Sale was. Sale spent time in the pen before he became the dominant starter he is today. It is year three, so now is the time where we start finding out about Rodon. Salazar has struck out 10.1 hitters per nine innings in his career. So, he will always be a big strikeout guy and he’s only waked 3.1 hitters per nine innings. That’s not great, but power arms usually struggle with their control. He should be as good as Corey Kluber and Carlos Carrasco, but hasn’t been for some reason. Health could be the reason and this could be the season where he puts it all together. Then again, maybe not. Sale behaved as if he were a hostage suffering from PTSD last season. There was a bizarre incident where he ripped up throwback uniforms and another where he loudly questioned management in what will be called the Adam Laroche affair. Playing for the pale hose might feel like being slowly tortured. After all, they haven’t relentlessly sucked, but have been maddening mediocre since winning the World Series in 2005. He’s free now and it’ll be interesting to see how he reacts to expectations. Holy unbelievable batted ball luck Batman. Sanchez led the league in ERA last season, so you almost have to include him in a final ranking, but his projections don’t warrant it. His career FIP was almost a full run higher than his career ERA. That kind of regression is obvious, but more importantly 2017 will be his second full season as a starting pitcher. Perhaps the above numbers aren’t so bad given that revelation. Children are often shown a human representation of Santa Claus, Satan, or Jack Frost as a way to help them conceptualize a complex concept. Smyly is the median pitcher. He virtually matches the median in three categories and comes close in the others. If Hector Santiago represents the replacement level pitcher then it becomes easier to see how valuable average can be. Smyly can be dominant at times, but like most average he settles back to his level before too long. If Smyly represents the mythical median then Snell represents hope. Rays fans were waiting on him like a teenager waits on the homecoming queen. You look at her really closely and notice a zit here and wrinkle there. The same happens with hot prospects. Over five walks per nine innings is quite the blemish, but blemishes often go away with time and control problems sometimes do too. If the Rays are to compete they will need Snell to be as special as everyone hoped he would be. I don’t know what the Blue Jays pitchers did to the programmers at BP. Maybe they collectively kicked their dog, but they certainly don’t think too highly of them. Stroman must have tried to stop them or rendered aid because they seem to like him more than the others. You will notice there always seems to be a link between WHIP and strikeouts. When one goes down the other goes up and vice versa. The more bats you miss the fewer hits you surrender. Occasionally, you just have to scratch your head. Tanaka’s career ERA is tad lower than his FIP, but there isn’t much here to justify the jump in ERA. In fact, his projected WHIP is lower than you would expect for a pitcher of his projected ERA. Break everything down and you get a pitcher substantially better than average. He misses more bats than average and has impeccable control. He does meet the league average in home runs surrendered, but given everything else he should be better than this. Ask the young generation of how they know Verlander and you won’t hear about his three no-hitters, Cy Young Award, or MVP Award. You’ll probably hear him referred to as the would be Mr. Kate Upton. Until last season he looked like a has been anyway, but he came back with a vengeance. Don’t look now, but he is probably two or three productive seasons removed from Cooperstown. Who will Upton be then? Zimmermann was off to a typical start for him when the injury bug hit. Everything after that was a blur. The PECOTA projections are almost certainly based on the pitcher he was in the second half, but he won’t be that guy unless he’s still hurt. The Tigers are paying him nine figures to be the guy he was in Washington. The aggregate might be a better target.